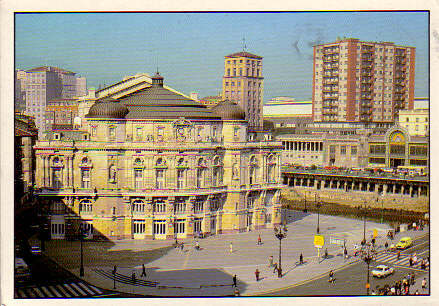 Built 1890 by Joaquín Rucoba. 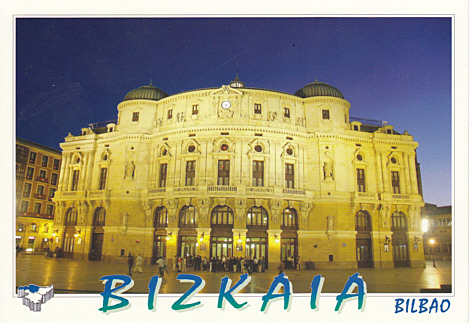 Named in honour of the Spanish composer, Juan Crisóstomo Arriaga y Balzola (1806-1826). 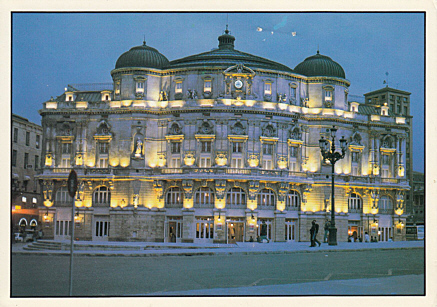 Damaged by flooding in 1983. 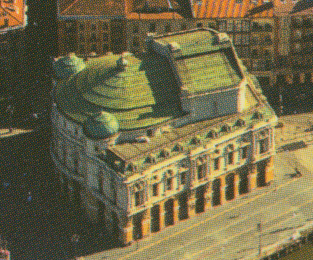 Seubsequently rebuilt, re-opened 1985. 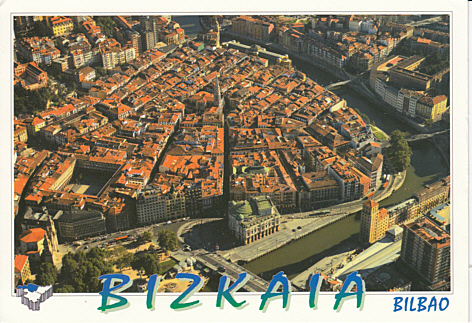 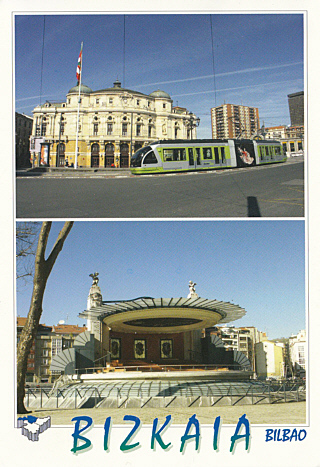 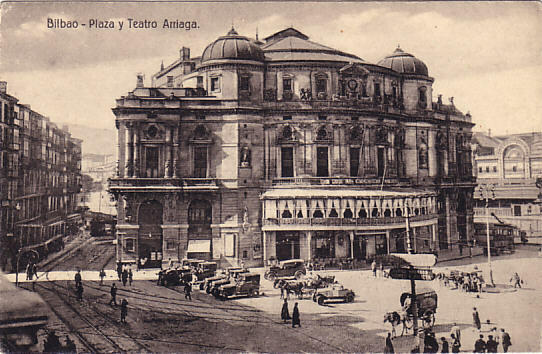 Front Text: "Bilbao - Plaza y Teatro Arriaga"
Reverse Text: "Bilbao - Vizcaya - Teatro Arriaga"
Reverse Text: "Teatro Arriaga, Arriaga Antzokia"
Reverse Text: "Casco Viejo, Alde Zaharra"
Reverse Text: "Teatro Arraia - Kiosco del Arenal, Arriaga Antzoki - Arenaleko Kioskoa"